Do you eat unhealthy and wish to change this? What’s the importance of buying from small companies as opposed to large ones? Let’s talk about that now. Hi everyone! We will be discussing the importance and benefits of eating clean, independent, and local foods. It’s so important to eat healthy. You are what you eat. If you eat unhealthy junk food, your body will reflect that. Likewise, if you eat clean food, your body will become healthier. 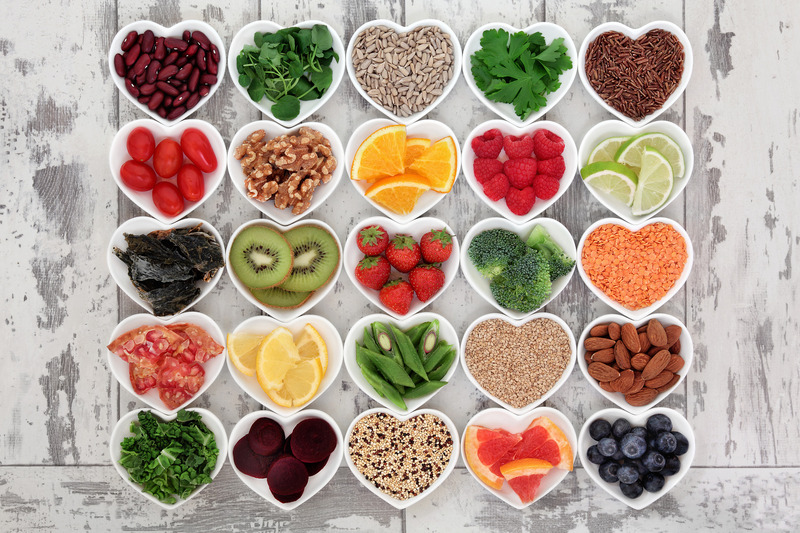 So many health conditions today are due to lack of nutrients and deficiencies. 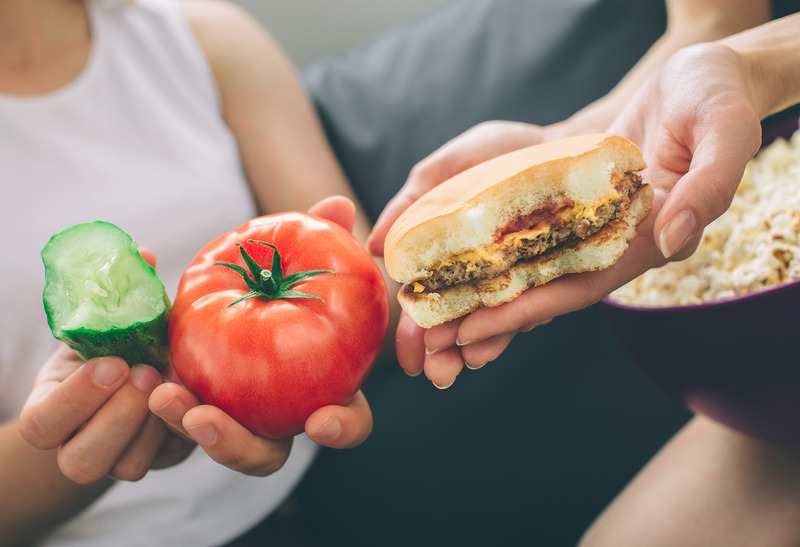 The United States is one of the most unhealthy and overweight countries in the world, which is no surprise due to how many fast food places there are around, and how much cheaper conventional food is as opposed to organic, non-GMO, local food. 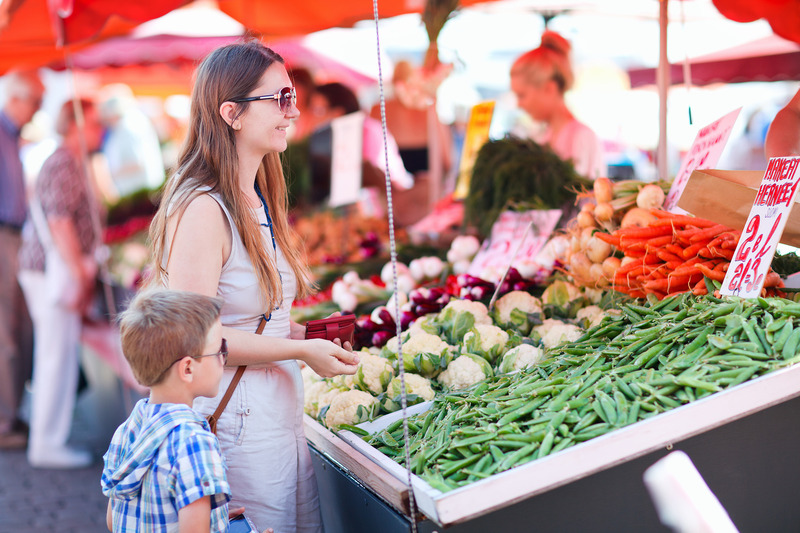 Some people who are unhealthy may also have limited income, making it difficult to buy quality food that will benefit their bodies and conditions. Comparing the price of organic and non-organic food, there is a clear winner when it comes to price. 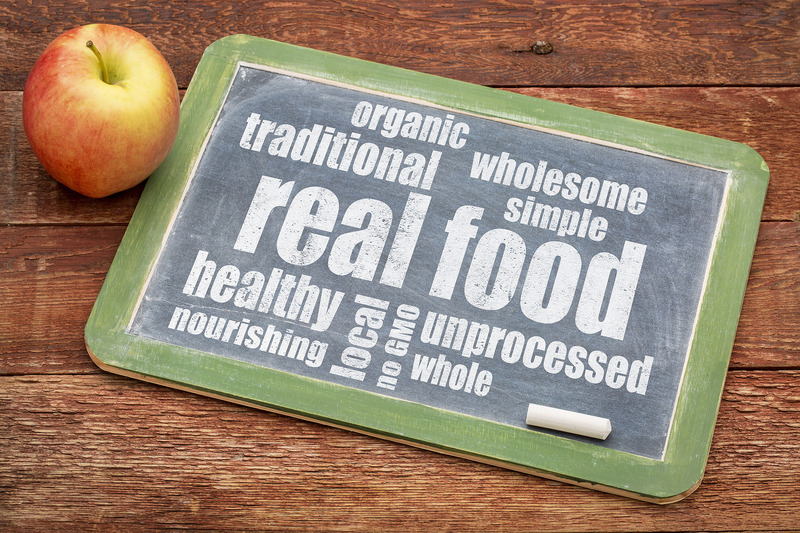 Furthermore, just because something is labeled organic, doesn’t mean that it’s not just a conventional markup labeled as organic. 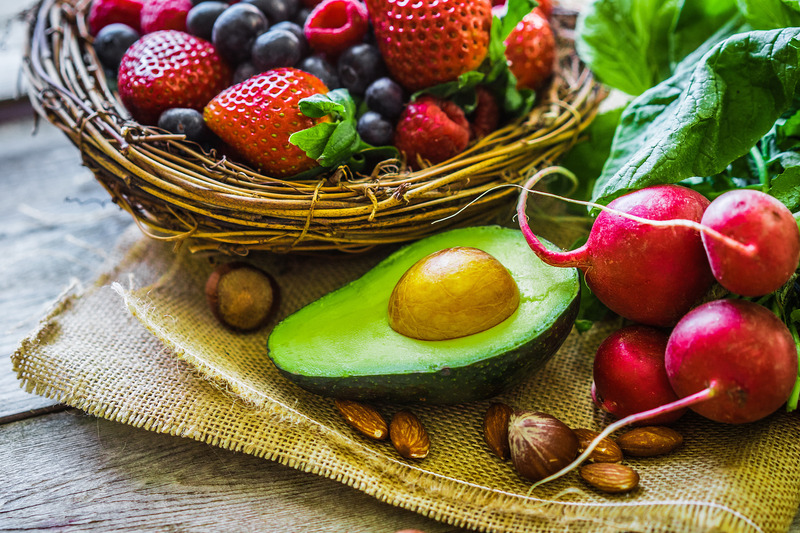 But when it comes to health benefits, there is a clear winner, which is organic food that is also not genetically modified. 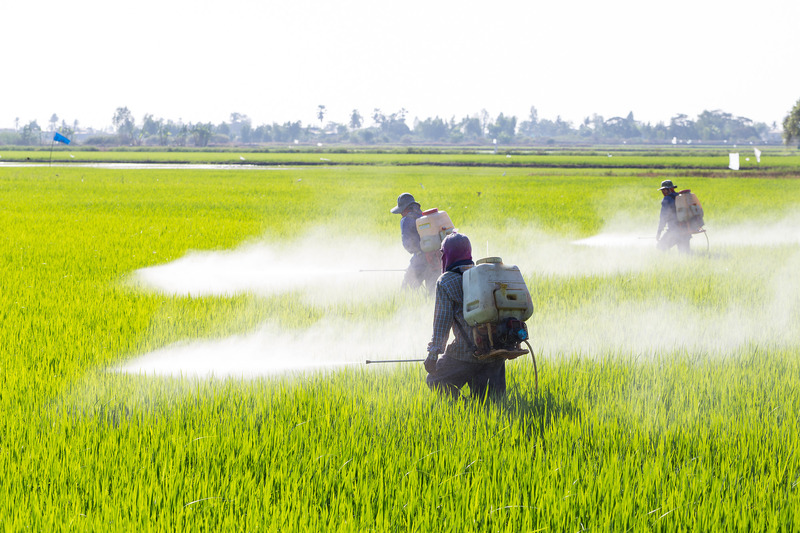 While pesticides are still used on organic crops, some of them even being dangerous, they may be better for the environment as opposed to the amount of genetically modified crops that are ‘Roundup Ready,’ meaning that they are modified to survive while being sprayed with toxic amounts of the carcinogenic herbicide, glyphosate. Herbicides like that destroy the soil and the Earth, leaving crops with little to no nutritional benefit. If you eat conventional and/or genetically modified foods, you are mostly eating pesticide residue that shouldn’t exist in the final product. That’s why it’s so important to wash and clean your products, including soaking in water with salt and vinegar. Regardless of what your ethical stance is on eating animals or animal products, I’m not going to try to change your mind about eating meat or going vegetarian or vegan. But, eating lower on the food chain tends to be healthier. Pesticides and toxic heavy metals that are found in plants are eaten by an animal, going up the food chain and compounding. Animals are also not raised in proper conditions and are very sick and unhealthy. Animals may also be injected with steroid hormones to essentially make them have more product, their meat. Farm animals are also fed a diet devoid of vital nutrients, which tends to be genetically modified and loaded with pesticide residue, in particular, glyphosate. Animals fed GMO feed are usually sick and the meat harvested from them is unhealthy. This sick animal, often held captive in a farm with very little space to move, is tortured and scared to excite the muscles for better tasting meat. They are then killed for their meat to feed to others. The food it provides is unhealthy because the animal was unhealthy. 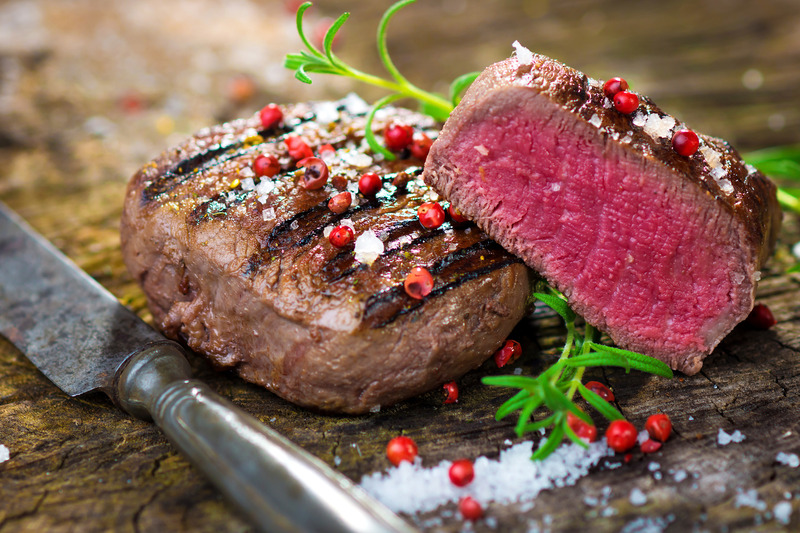 The dead animal arrives on your dinner plate, and while you think it’s packed of vital protein and nutrients, it’s actually filled with negative energy of the unhealthy animal that suffered to be your food. 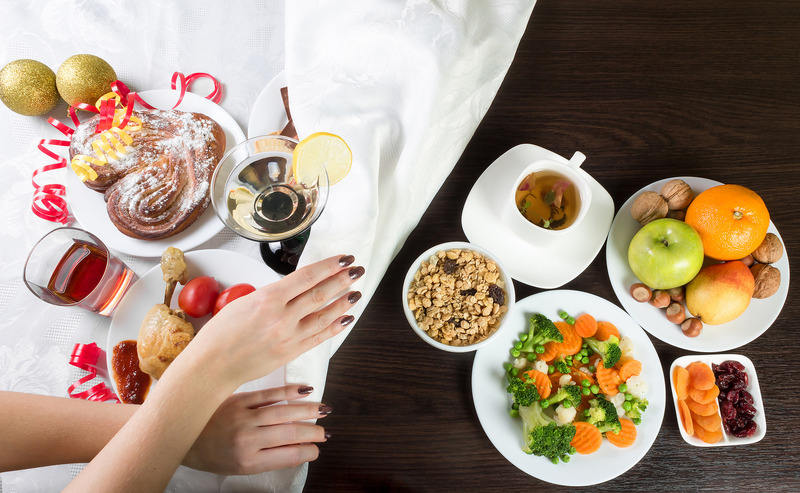 The energetic vibration of the food we eat is crucial. When you eat something that has negative intentions put into it, your body will absorb it as it becomes part of your energetic field. 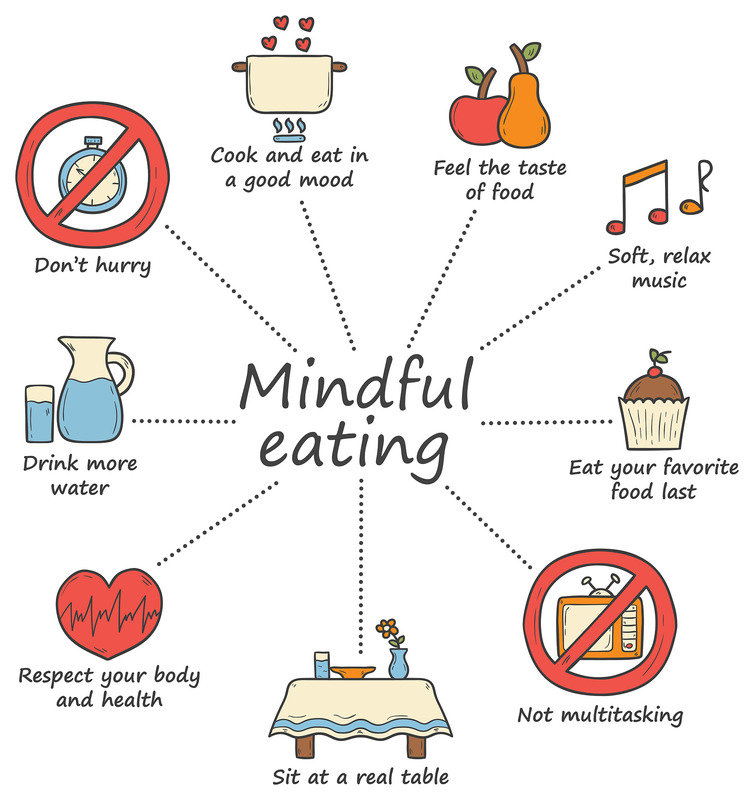 That is, unless you know how to cleanse your food prior to eating by being thankful for it, preparing it with positive intentions, and eating it with positive intentions, as well as knowing how to cleanse negative energy from yourself. Also eating a more plant based diet can help the environment, reduce animal cruelty, and be healthier for you and even cure some diseases you may have been diagnosed with. Even going gluten free can have wonderful benefits on some gastrointestinal and chronic pain disorders. Changing your diet is an acquired taste. You may not like something initially, but when you keep eating it, your body desires it. Your body will also thank you for the healthier food and nutrients. Lastly, there are a handful of food brands that control the world’s food supply, just like there are a handful for tech companies that controls the world’s electronics, phones, and social media networks. We let these huge companies rise to power by giving them money for their addictive products. For example, the same brand that makes fattening, addictive chips and snacks also has a subsidiary that makes weight loss food. It’s not just one brand that does this, but all of them since the parent and holding company makes unhealthy snacks with additives that are chemically addictive, and have subsidiaries that are equally as unhealthy, but also have subsidiaries that offer healthy options, including organic and all natural foods. 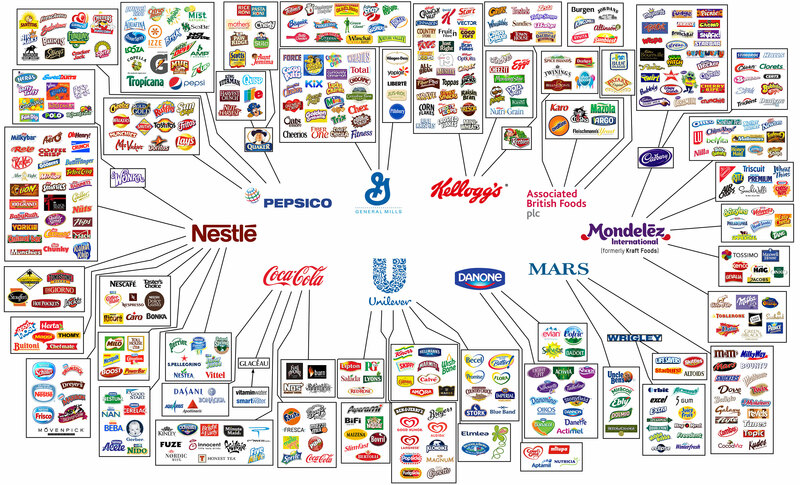 These large companies monopolize the food you buy and we let them. 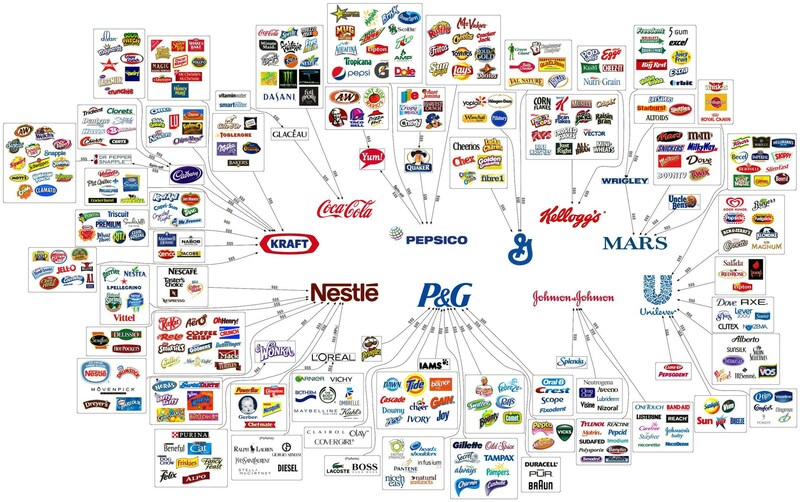 Regarding organic brands, many of these large companies own subsidiaries with organic in mind. This includes organic brands such as Garden of Life being owned by Nestlé, Annie’s Homegrown (not to be confused with Amy’s) being owned by General Mills, and Honest Tea being owned by The Coca-Cola Company. The list goes on and on. You may think you are buying from smaller, organic, and all natural companies, but you are still helping the large companies who own them. Please refer to the two charts [Chart 1 | Chart 2] that show some, but now all, of the huge companies and their monopoly on the food supply. I cannot show them in this video because they are huge images and you wouldn’t be able to see them. The best way to help small, independent companies is to buy from local brands. Help the small struggling businesses in your city and nearby who are trying to grow and can only grow with your help. Think of it from their point of view, if you were trying to start a business and get customers, yet were consistently losing customers to the cheaper company who doesn’t care about their products and cuts costs wherever they can, who is owned by a large company, how would that make you feel? Many local companies truly care about their products, and put positive intentions into it, so help them out as much as you can because without you, they would be nothing. The large companies already have enough, so help the small, struggling businesses by seeing what’s local, and doing research to make sure that what you’re buying isn’t owned by a large company that has negative intentions when it comes to genetically modified food, poor working conditions, and poor keeping of animals. Help the small people, and they will help you in return with a product that is made with positivity and love. Thank you for sharing and supporting this information and making a difference in the world. Your input is valuable, so if you have any questions or comments, please make your voice heard. By working towards a common goal together, we can accomplish so much more. Sign up for my free email newsletter for future updates. And a big thank you to all my supporters. Have a wonderful day! You are what you eat. This phrase is something many of us don’t realize how true it actually is. I went vegetarian (very slowly) after a variety of health problems in 2011. I knew how bad I was eating, and needed to change that and start exercising. I replaced beef with chicken and turkey, then replaced that with vegetable counterparts. But, I still ate fish for a while until about 2014 when I went completely vegetarian. I did try vegan dairy alternatives but didn’t like them, so I stuck with the dairy. Overtime, I slowly incorporated vegan alternatives into my diet and began to like them. Slowly my dairy intake lessoned. I eliminated cow’s milk, eggs, and cheese (unless it was already in something that I purchased). My dairy consumption became less and less. I then had a revelation where I couldn’t bring myself to causing pain and suffering to another living creature. That all living things, humans, animals, fish, insects, everything, is equal and serves a purpose. I didn’t want to be hurt, so why was I inflicting pain onto other living creatures? I then decided to no longer purchase anything that had animal products, nor purchase anything from major brands. Many organic brands are subsidiaries of major companies, which I decided to no longer purchase from. 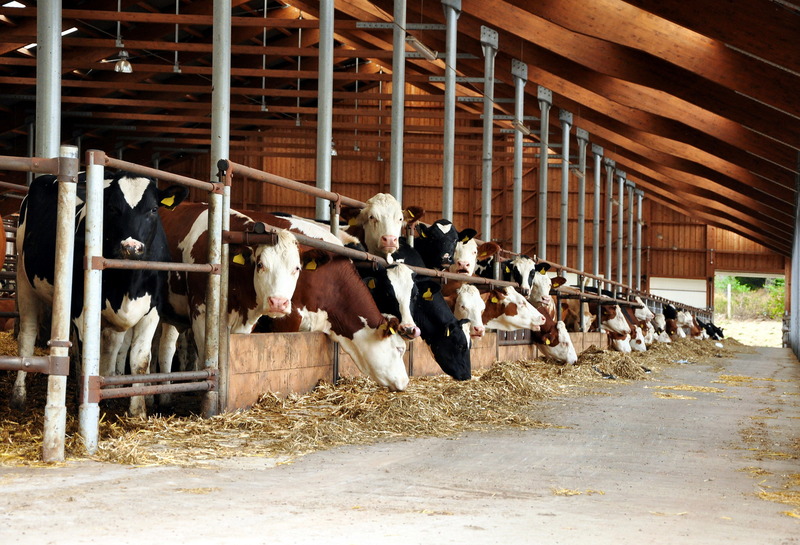 Overall, it took about 7 years to go from eating animal products to absolutely none. I don’t advise anyone change overnight, but at the pace I went, perhaps that’s too slow for others. This worked for me to allow my body to adjust and for my taste buds to like the new food. From here on, I’m happy with who I am and the difference, even small, I’m making with lessening the desire for animal products, which in turn will save animal lives. One less cow, pig, chicken, and fish that needs to be killed for my consumption. The needless killing of these animals that serves no purpose to human health. I’m fortunate I’ve learned this lesson now rather than later.